The thought of intruders breaking into your home with ease is definitely something that would scare you, not to mention make you anxious. This is why it is important that you ensure that your home is secured. Sure, you may have a guard dog at the front of your house or have all locked gates and doors and closed windows before putting the lights out. However, it might not be enough as your home may still run the risk of getting seized by criminals. Indeed, the aspect of video surveillance is something that you should take advantage. For the most part, it relieves your tensions and anxieties away, knowing for a fact that your installed equipment is making sure that it sees everything, 24/7. This is especially true when you are away from home, whether you are doing grocery shopping, making a bank transaction, or enjoying your vacation trip with your family. But even when you are inside the home, CCTV cameras are still useful, especially when there are certain risks involving your other family members. As parents, it is important that your baby is given round-the-clock care. That would mean keeping an eye on him or her at any given moment of the day. That is not the case when he or she sleeping, and that you must leave him or her to doze off soundly at the comfort of his or her crib. This is where you need a CCTV camera in your home’s baby room; you can monitor you baby without being there inside the room. It even helps you reduce the risk of a falling from the crib. With a CCTV camera installed inside your home, you can closely monitor your child or children’s actions. Indeed, your child or children are a curious bunch; they would reach for things regardless of whether they are dangerous or not. Such equipment can be installed in an off-limits area such as a workshop, garage, or a room with a closet filled with items that are considered as fire hazards or poisonous when mishandled. If you have an elderly at home, your CCTV camera can likewise help you monitor him or her when you are in another room or away from home. You can install one in an area where they spend much of their time; in the front porch, the garden, or bedroom. Accidents do happen, especially among the elderly. They may get trip, slip and fall in areas not always noticeable. They may also get involved in freak accidents, say bumping into stationary objects on your garden like tables, chairs, and even rainwater tanks. This is why it is important to have CCTV cameras when there are elderly in your home. It is definitely hard to keep an eye on everything inside your home, especially if your home is two- or three-stories high. Your CCTV camera installed in-front of your home can see who’s at the front door, especially when you are upstairs sleeping or going with your own business. If you have an elaborate garden or patio and you have number of expensive equipment on it, having security cameras is important. Since your home’s outdoor is the one most unnoticeable when you and your family are sleeping at night, it is an easy target. Some of the items that can be stolen, damaged, or vandalized include rainwater tanks, furniture pieces, among other valuables. 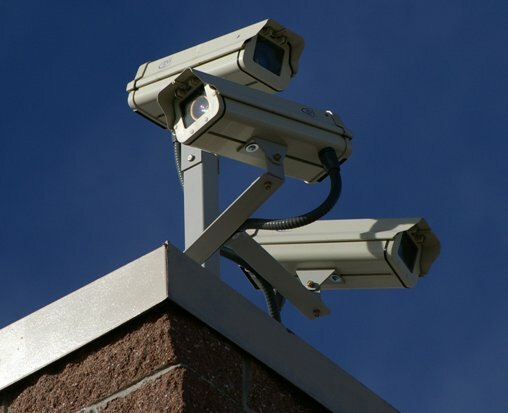 Video surveillance cameras come in different types. Some are small to remain hidden from view. Some are large enough to move on their own when they detect movement. Some are fixed cameras that only monitor a certain area. Whatever CCTV camera you consider, you can be sure that your home’s inhabitants, including yourself, are out of harm’s way, whether the dangers are coming from outside or inside.